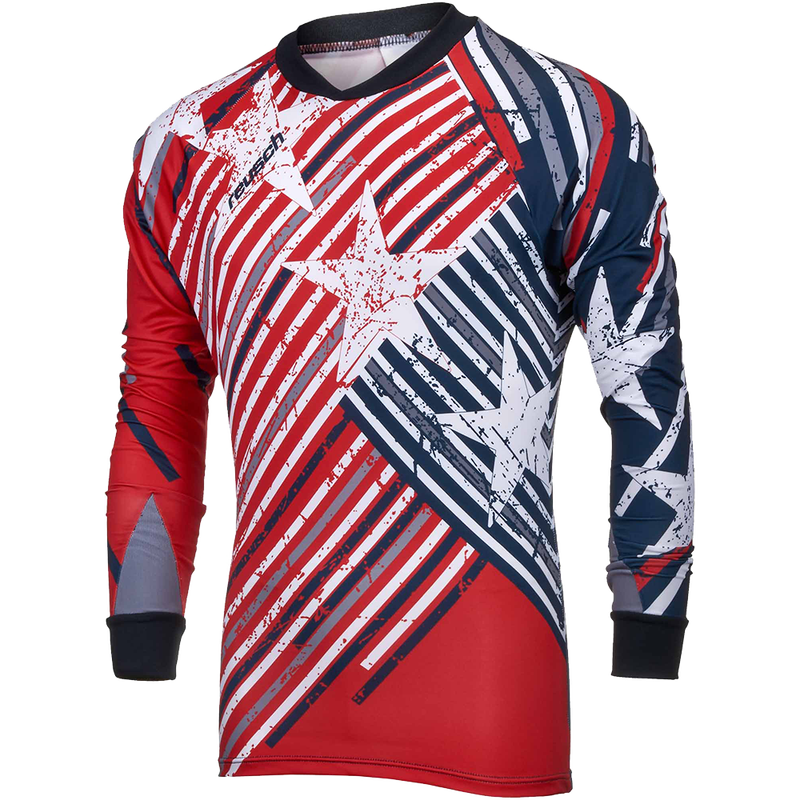 The Reusch Patriot II Pro-Fit Short Sleeve Goalkeeper Jersey is the perfect training or game day jersey for keepers in warmer climates or those keepers who would rather not wear long sleeves. 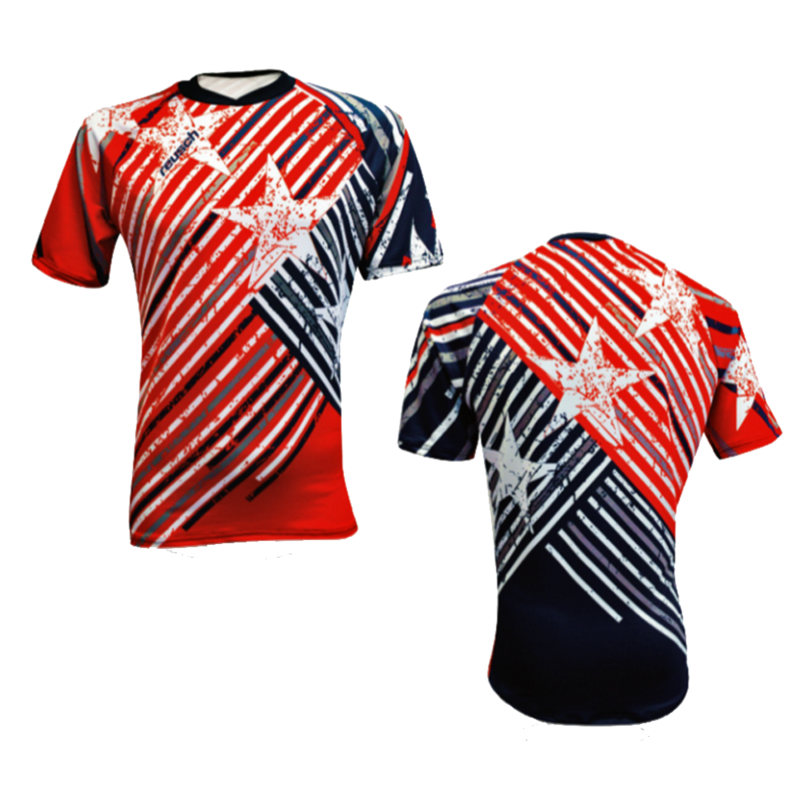 The sublimated USA themed design is sure to be popular with fellow goalkeepers and field players alike. No padding on this short sleeve Reusch jersey. Great for the warmer climates and Summer months! Knit control collar and stitched short sleeve cuff for extreme comfort.